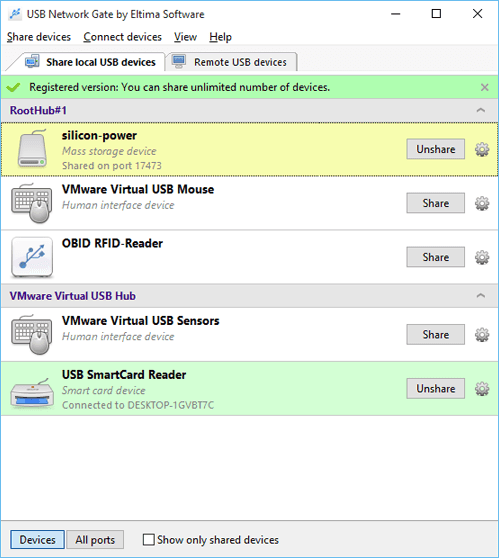 Wouldn’t it be great if you can share the plugged in USB device from your computer to other computers over a network? In addition, have you thought of remotely accessing a USB device connected to other computers over the network? Well, Eltima USB Network Gate is one such application that lets one manage and access any USB device plugged into a remote machine or allows you to share your USB data to other computers on the network. This lets you break the geographical barriers and makes it easier for you to access devices like your printers and scanners even if you are located in a foreign country. Let us see how USB Network Gate makes it convenient for you to access your USB devices. USB Network Gate shares a great compatibility with Citrix XenDesktop, VMware virtualization software, and Microsoft Hyper-V. This makes USB Network Gate work flawlessly, as you will not be able to make a difference to understand if you were physically connected to the system or you were accessing it via a virtual machine. This functionality is added, taken into consideration a very critical issue of accessing USB plugged- in devices over a remote desktop session. 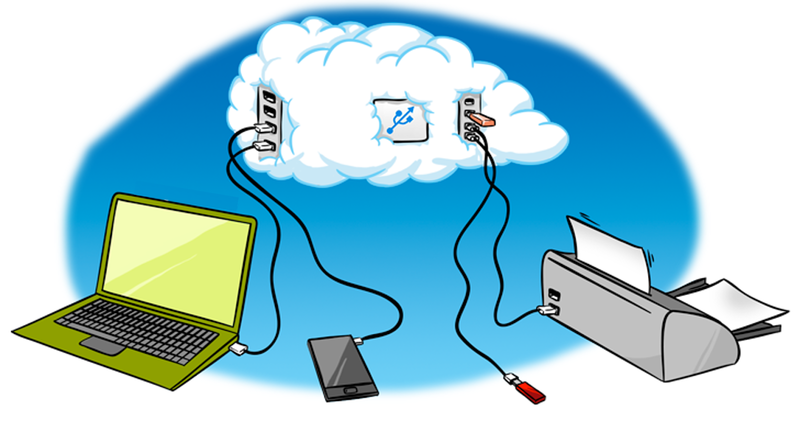 While working in a remote desktop session it is often difficult to manage USB devices plugged into your computer with the host operating system. USB Network Gate Solves this issues to a great extent, you just have to install it in both the remote server as well as your computer. USB Network gate allows you to access a USB over ethernet or over a wireless network from multiple computers plugged into that network. These will give you multiple capabilities and will be comparable to as if the device was physically attached to each of these computers. You can even use a password to control remote user access. The USB network Gate is compatible with almost all of the operating systems – Windows, Linux, Mac, and Android, thus making it very popular with corporates as well as for personal usage. Further, it supports various remote devices like printer, scanner, iPad, MIDI controller, USB Monitor, USB Dongle or WebCam. Since the software would be giving you access to USB devices over the network, in a multi-user environment it is difficult to get exclusive connect to USB device usage. USB Network Gate assigns a USB device to a specific user in an RDP session. Currently, Network Gate supports ICA protocol by Citrix. The USB Network Gate will soon be a necessity more than a requirement for all sorts of businesses mostly in global trade field. This device will make the functioning of businesses as well as handling of networking needs easier. All in all, wherever you are working, on whichever operating system, with USB Network Gate you will be able to access and manage your USB devices in best possible manner breaking all the location barriers.